Online meetings are critical for any company success. Within any industry, managers and employees must meet regularly to ensure goals are being meet satisfactorily. Without meetings, there is a high probability that a different teams could end up on different pages. When miscommunication occurs, the consequences could prove costly in terms of time and money for the organization. Therefore, most companies try to have effective, efficient meetings at all levels of the company. While face-to-face meetings are great in person, sometimes online business meetings can prove to be more advantageous for getting the job done under a deadline. Before we get into online meeting advantages, many companies have too many meetings causing them to be counterproductive. Time is wasted before and after the meeting because of the time it takes to get everyone together in a conference room. Even the nicest office buildings in New York City can have a maze-like pathway to the most common meeting room. But, taking your discussion online, can be much easier for most people. Here are some of the major advantages to having online meetings and avoiding that walk to the conference room. Virtual meetings can help to reduce expenses. This is obviously a significant benefit that all business owners would love to benefit from. Business travel is expensive. When you are flying clients or senior staff around for meetings or driving them to and from locations, these costs add up quickly. You should not have to fund the aviation industry just to facilitate a simple business conversation. Virtual conferences and meetings help you avoid expensive business travel. That helps you cut costs for your business, which is certainly an enticing prospect. Many companies have business applications, internal company chat programs or project management software. Sometimes, posting a quick ticket, note or status update to everyone in your team is much quicker than emailing everyone or calling for a meeting. In a way, you’ve created a quick virtual meeting that your team members can respond to based on urgency. Of course, you can choose to do a web conference, video call or skype session. Whatever works best, it is up to you! In our global economy, most companies have employees all over the globe. So, to have certain meetings without insanely high travel budgets, online meetings are essential. They allow team members to collaborate from different countries, time zones and continents all at once. Of course, some team members might be up at the middle of the night, but it might just be worth it for an urgent meeting. Even if your meeting is not urgent, having a face-to-face online meeting can prove to be much more effective than simple phone calls. 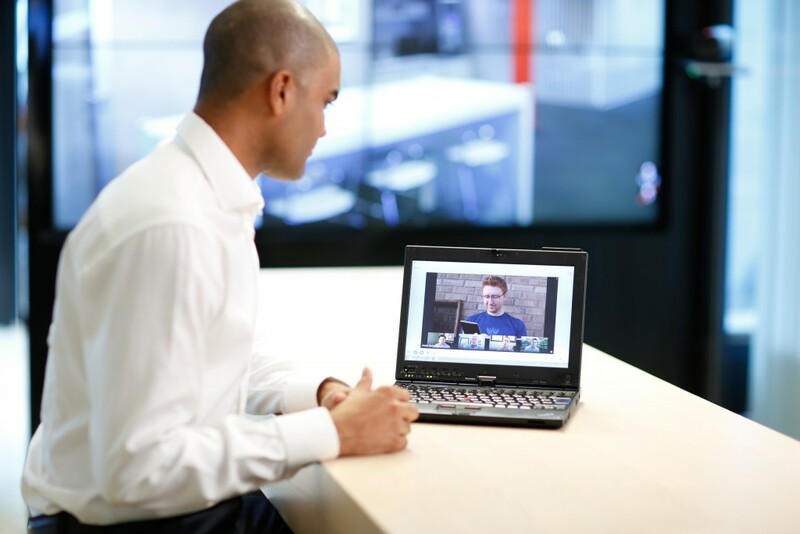 By working together online, you can easily screen share while video conferencing. Not only does this improve communication, it also helps create relationships across international companies. Is your team working on something really big? Perhaps, the project needs to be kept from the newest employees. Conducting meetings online can help maintain a level of privacy within the company. Unlike the glass windowed conference room, there is a bit of autonomy about who is actually in on the meeting. Body language in business is also quite important for keeping trade secrets under wraps; and digital meetings help you avoid giving anything away without saying a word. If you are starting to get older, you can understand the need for audio quality. Many times, we miss out on important facts of a meeting because we simply could not hear what the other person was saying at the end of the conference room. However, when conducting your free meeting online, you will be able to hear everything as you can adjust the volume according to your needs. Today’s web conferencing companies provide several integration opetions for your online meetings. Rather than carrying your laptop around. You can seamlessly schedule meetings, take notes and upload files directly to your favorite business apps. This includes integration to GMail, Salesforce, Outlook and more. Depending on your meeting software, you could have many more integrations to work with too. Did you know? Online meeting software can be easily accessed from your browser. While more advanced webconferencing software may require downloads, there are many free online meeting software that let you hold secure meetings right from your browser. With fast load times, it makes business meetings very easy and simple to access. By using a teleconferencing service to host online meetings, you can use it for different purposes. Depending on your role in the company, you can hold sales calls, new employee training, whiteboarding sessions, team huddles and webinars too. Whether you are an executive, marketing professional or team manager, there are many uses for online meetings. There’s no question that saving time and money for the company is great. As long as means able to stay focused, productive and efficient, online meetings are the way to go. It is a win-win for everyone in a productive environment. If you want to take advantage of all the benefits online meetings can provide your business, you have to know where to look. Because you are just starting to try this new technique out, you probably should not going throwing money away on a service you will not enjoy just because you want to start testing out the response to your beautiful pitch decks via web conference. So, if you want to try bringing video conferences to your business, consider a service like Google Hangouts or Skype as a great starting point. These online meeting providers do not allow for many participants however, they offer an excellent way to try out video conferencing at your business, without committing to a long-term contract or hefty initial payment. Before paying for a service, try a free video conferencing provider first. Then you can decide whether it is worth the money. So true! I love having all my meetings online now because it saves a ton of time. And let’s face it, I’m always busy!